Having a hard time getting your tots to eat their greens? Bamdinos to the rescue! 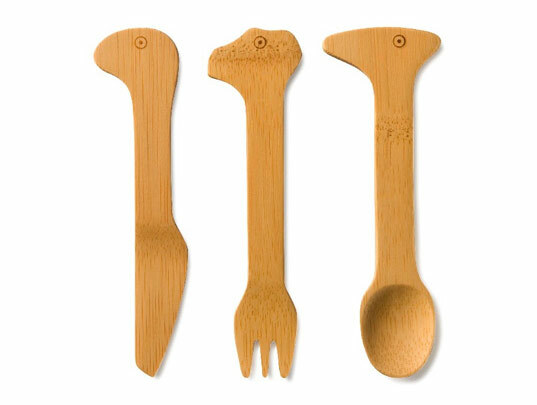 These cute, dinosaur-shaped utensils not only make eating fun for your little ones, but they are eco-friendly to boot. Made from organic bamboo and natural cashew lacquer, Bambu’s Bamdinos are easy on the eyes, safe and easy in little ones’ mouths, and easier on the planet than conventional flatware. What’s not to love? Having a hard time getting your tots to eat their greens? Bamdinos to the rescue! These cute, dinosaur-shaped utensils not only make eating fun for your little ones, but they are eco-friendly to boot. Made from organic bamboo and natural cashew lacquer, Bambu's Bamdinos are easy on the eyes, safe and easy in little ones' mouths, and easier on the planet than conventional flatware. What's not to love?